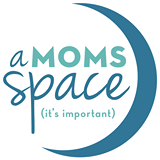 A Moms Space - Get Involved. Make Friends. Enjoy Motherhood. A Moms Space is a place where mothers receive support as they navigate the challenges and wonders of motherhood. Guests will find a variety of classes and meetings aimed at guiding the parenting journey, as well as healing services designed to rejuvenate and restore all members of the family. Come in to enjoy a class, or utilize community drop-in hours to let the little ones play as you chat with other moms. Welcome!